A new mount is available in the Zen Market! Fully trained, this epic quality mount will give you a leg up (or 8) in your adventuring! 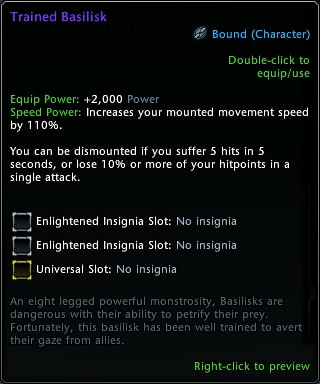 The Trained Basilisk is available starting today on PC for 3500 Zen. It will be available on Console at a later date.